Branding, design, illustrations for Margot & The Nuclear So and So’s 2012 LP, Rot Gut Domestic. Production included: Vinyl Gatefold, a CD release with a Fold-Out Poster Insert (Not Available with Vinyl), and the Digital release; as well as limited run of 7″/45 rpm singles for “Prozac Rock / Fingertips” released on New Years Eve, 2011. The photograph for the full length was shot by Megan Connelly; and the photo for the single was shot by Richard Edwards. 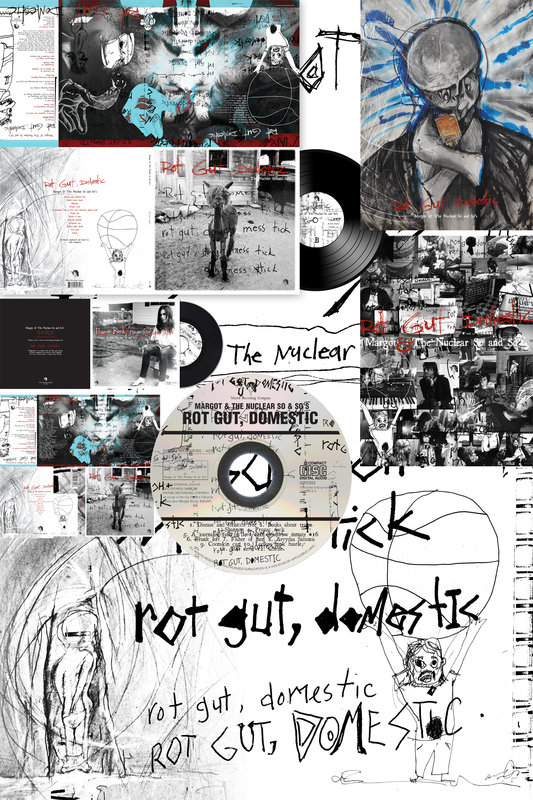 Less than 50 limited “Rot Gut” prints are available and signed by each member of Margot & The Nuclear So and So’s. 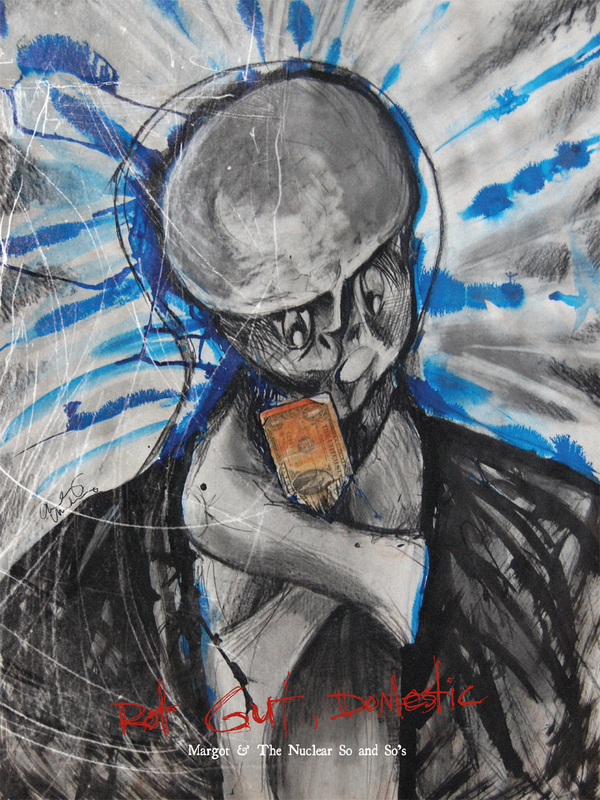 Original artwork produced for the record’s release are available, too– and signed by the band– but I priced the originals to keep, warning : ) Released in March 2012. Design & illustration began in Sept. of 2011. Final cover, comps selected in early October. The packaging (CD & Gatefold Vinyl) includes many scribbles, illustrations related to the album’s tracklisting. 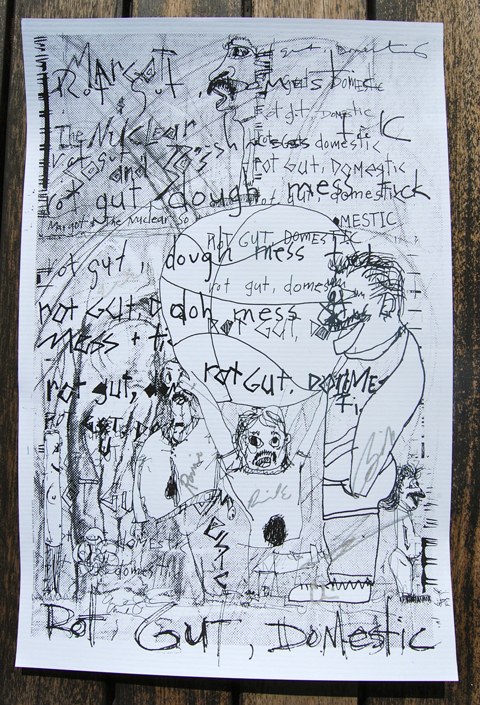 Artwork produced, 17-19 estimated illustrations related to “Rot Gut, Domestic”, are for sale now in my online store.